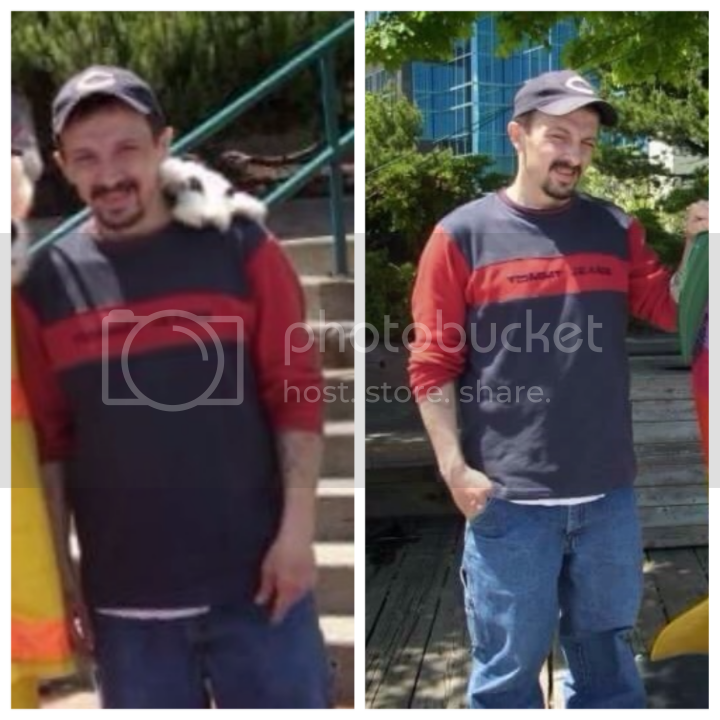 The Fredericton Police Force is requesting the public's assistance in locating a missing Fredericton man. 56-year old William MacLennan was last seen on February 21, 2017. William MacLennan was last seen on February 21, 2017 in the downtown area of Fredericton. MacLennan is usually seen downtown walking alone at any time in the day or night. He is usually smoking a cigarette or a cigar while drinking coffee. He can often be seen talking to himself and walks with a slow swaying gait. Anyone with information about William MacLennan is asked to contact the Fredericton Police Force, at 506-460-2300 or Crime Stoppers at 1-800-222-8477. There is no information to suggest that Colson has met with foul play but police are concerned for his well-being and are asking that Colson or anyone with information on his whereabouts call police at 902-490-5020. There is no information to suggest that Anthony has met with foul play, however, police are concerned for his well-being. Officers request that Anthony or anyone with information on his whereabouts call Halifax Regional Police at 902-490-5020. The West District RCMP is asking for the public's help to locate a missing 42-year-old man from Morrell Siding, N.B. Tony Vaillancourt has not been in contact with friends or family since April 9, 2017. It is unusual for him to be out of contact for such a long period of time and efforts to locate him have been unsuccessful. Tony Vaillancourt is described a Caucasian man with brown hair and eyes. He is 5'11" and weighs 198 lbs. Anyone with information on the whereabouts of Tony Vaillancourt, or who may have seen him since early April, is asked to contact the Grand Falls Detachment of the West District RCMP at 506-473-3137. 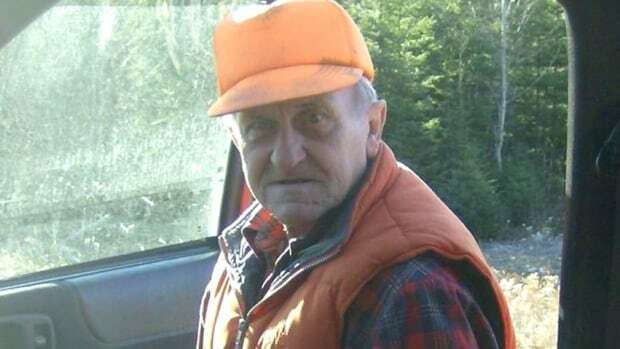 "We are asking anyone who is spending anytime in the woods in those areas, whether they're working, hiking or on ATVs, to be on the lookout for any signs of Mr. Berthiaume or his vehicle," said Plaxton. Berthiaume is described as Caucasian, five feet seven inches tall and about 150 pounds. New Brunswick Unsolved Murders & Missing People / Re: MARISSA SCOTT, 17 MISSING, FEB 15/17 ST. JOHN, N.B. Jennifer Hillier-Penney's family members are holding out hope that the 38-year-old mother of two will be found alive, but her father admitted Wednesday that "it looks bleak." Allan Hillier said "it's a mystery to me" what happened to his daughter, and added "we're worried sick." An extensive search for Hillier-Penney has been underway since Thursday, Dec.1, and the RCMP acknowledged Wednesday morning that her disappearance is suspicious. It's been confirmed by multiple sources that Hillier-Penney and her husband were having marital problems, though police won't say whether the husband is a suspect. 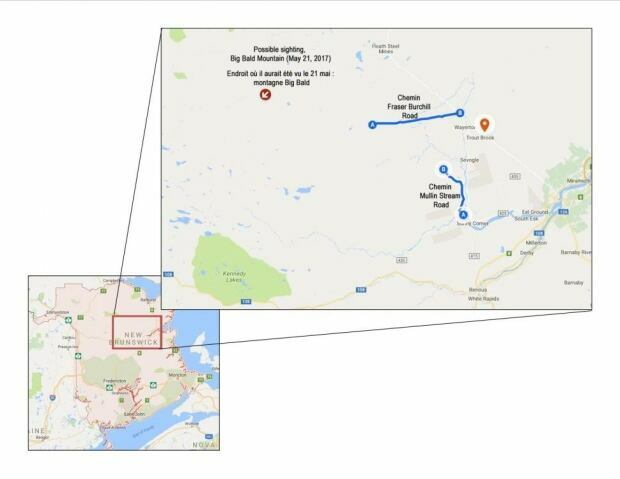 There have been no arrests, and "because of the nature of the investigation, I can't get into any further details," RCMP spokesman Cpl. Trevor O"Keefe told CBC News Wednesday. 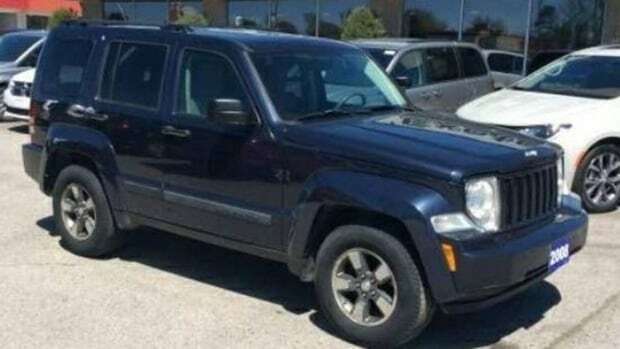 Hillier-Penney is the mother of two daughters, ages 20 and 15, and was last seen at the family home on Husky Drive in St. Anthony on the evening of Nov. 30. She had been separated from her husband for roughly two months, and was living with her father in nearby St. Lunaire-Griquet. Family members say she went back to the family home in St. Anthony to care for her youngest daughter for a few nights while her husband was away hunting. When asked if he believes something bad has happened to his daughter, Hillier said, "it looks like it." The family is anxiously awaiting answers, and police say the case is still very much a high priority. "This matter is still an open and active investigation," O'Keefe said. Police have conducted a ground and air search in St. Anthony and surrounding areas, and divers are expected to enter the harbour on Wednesday "to cover all the bases in the investigation," said O'Keefe. Police are asking people in St. Anthony to check their properties and for anyone with information about the disappearance to come forward. Matthew Tucker has been found guilty of second-degree murder in the 2014 death of his mother, Dorothy Tucker, of Oak Haven, near St. Stephen. The 36-year-old man showed little reaction to the verdict. Second-degree murder carries a mandatory sentence of life in prison with no eligibility of parole for a minimum of 10 years. Following the verdict, Justice William Grant sent the jurors back to see if they could agree on a sentencing recommendation on how long Tucker should serve in prison before becoming eligible for parole. The jury declined to make a recommendation. Grant set Dec. 13 as the date for a sentencing hearing, where the Crown and defence will put forward their recommendations for parole eligibility. Tucker did not testify in the trial and the defence did not call any witnesses. Earlier in the day, the Crown and defence offered sharply differing views of Matthew Tucker's mental state as they made final arguments at his second-degree murder trial. Tucker was charged in the shooting death of his mother in November 2014. Hunters found Dorothy's body in woods near St. Stephen 10 days after she disappeared from the home she shared with her son in Oak Haven, near St. Stephen. Hours before her disappearance, Matthew Tucker flagged down RCMP officers in Oromocto and asked to be taken to hospital. The officers described a man who was fearful, shaking and talking of a disembodied head he was seeing in the woods. But Crown prosecutor Jill Knee reminded jurors that Dr. Linda Hebb, an emergency room physician at Oromocto Public Hospital, said Tucker calmed down after talking with her for a few minutes. She determined he was not a candidate for a Form 1 under the Mental Health Act, which would have allowed hospital officials to hold him against his will, if necessary, for treatment. Knee told jurors Tucker later loaded a gun, shot his mother, disposed of her body and tried to deflect the blame onto others. She described blood-stained blue jeans that bore the DNA of both Matthew and Dorothy Tucker, along with the blood stains and shotgun pellets found in the bedroom. "It comes together," said Knee. "The evidence has come together." Defence lawyer Brian Ferguson told the jury the Crown had not presented any evidence of a motive that would have driven Matthew Tucker to kill his mother. He asked the jury to consider Tucker's state of mind carefully. He reminded them that Oromocto RCMP Const. Valarie Caron grew more concerned with every minute she spent with Matthew Tucker after he flagged down her cruiser. He referred to Caron's testimony that Tucker cried when his mother's name was mentioned. He also said Matthew Tucker let police officers into the family home when they arrived looking for his mother following a missing person report. Furthermore, a shotgun and blood-covered plastic were left in plain view, Ferguson said. Jurors had the options of finding Tucker not guilty, guilty of manslaughter or guilty of second-degree murder. My name is Gillian Fletcher and Jami Springer is my daughter. This is Jami's father, Brent and her brother, Jordan. We haven't seen or spoken to Jami since August. We love her dearly and we want to know where she is and is she safe? We know that someone out there knows something. Through donations, we have raised $8000 in award money and donated it to Crime Stoppers New Brunswick. This brings the total award money available to $10,000 to anyone who can just tell us where Jami is. You don't have to give your name. Just tell us where she is. Jami, if you see this, know that every morning when I wake up, I hope that this is the day I will hear from you. To hear your voice and know you're okay. I want to thank everyone who has helped to look for her and kept Jami and our family in their prayers. We have not given up. If you have any information please call Crime Stoppers. Please help us find Jami. A $10,000 award is being offered to anyone with information that leads to finding 28-year-old Jami Springer, who has been missing from the Moncton area since August. The RCMP is sharing a video made by Jami's family to encourage anyone with information to come forward. Jami's family has raised $8,000, and this amount has been added to the up to $2,000 award offered by Crime Stoppers. "Our family wants to thank everyone that has helped us try to find Jami," says Gillian Fletcher, Jami Springer's mother. "It's our hope that by adding more money to the Crime Stoppers award, someone with information will call." Jami Springer was last seen on August 31, 2016, in Moncton. The RCMP in New Brunswick's Major Crime Unit continues to investigate her disappearance as suspicious. "We want people to know that information can be provided anonymously through Crime Stoppers. You don't have to give your name," says RCMP spokesperson Cst. Hans Ouellette. "We are looking for any information that will help us find Jami. Someone knows where she is."